This site is owned and operated by Simon Lucas trading as Beercott Books (“We”). All information, content and material displayed on this site and all code comprised in this site are the property of Beercott Books, licensors or suppliers as applicable. Those works are protected by copyright laws and treaties around the world and all such rights are reserved. 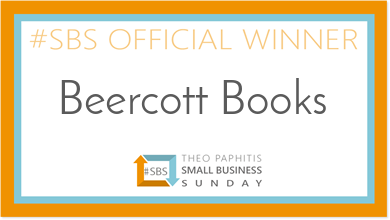 All of the trademarks, service marks, logos and trade names used on this site (including, without limitation, the Beercott Books names and logos) are trademarks or registered trademarks Beercott Books or their affiliates or licensors. You may not copy, post, transmit, store, publish, download or otherwise use our trademarks or logos or any of the content or code of this site in any way for any other reason without our prior written approval. You must not use any part of the content on our site for commercial purposes without obtaining a licence to do so from us or our licensors. We will not be liable to any user for any loss or damage, whether in contract, tort (including negligence), breach of statutory duty, or otherwise, even if foreseeable, arising under or in connection with your use of, or inability to use, our site or your use of or reliance on any content displayed on our site. Please check this page from time to time to take note of any changes we make, as they are binding on you.